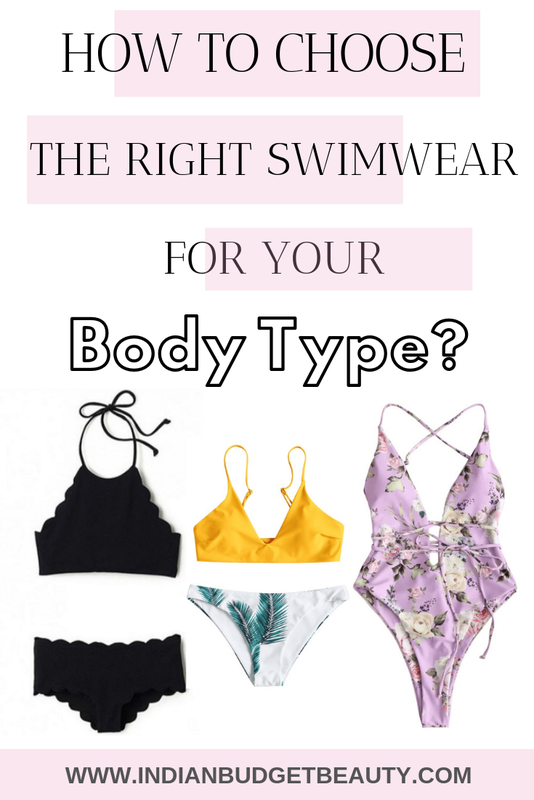 How To Choose The RIGHT Swimwear For Your Body Type? 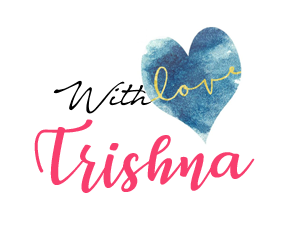 - Indian Budget Beauty | Indian Makeup, Beauty & Lifestyle Blog How To Choose The RIGHT Swimwear For Your Body Type? How To Choose The RIGHT Swimwear For Your Body Type? How To Choose The RIGHT Swimwear For Your Body Type? All women do not have the same shape, size or color. We are all totally different, nevertheless stunning in our own way. So, choosing the right swimwear can be a task when you are not aware of what body type you possess. Which is why, swimwear is also available in different types, be it a proper two-piece bikini, a monokini or even a swim dress. 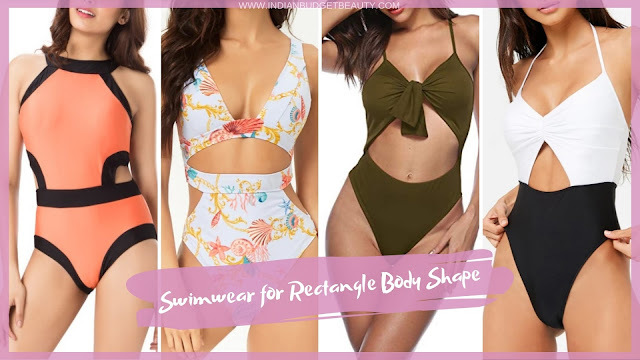 So, here are a few suggestions which can help you to choose the right swimwear for your body type. An hourglass body type has a well-balanced bust and hips and a narrow waist. Being the curviest body type, the narrow waist should be highlighted while choosing your swimwear. • A high waisted bottom with a cute bikini top (halter or underwire). • The bikini top should be something that offers support since this body type has a heavy bust. One should avoid a triangle top as it does not provide much coverage or support. • A one-piece monokini which shows off the curves. • A clean bikini bottom with no frills. Since hourglass body type has a heavy bottom, they should not add any layer to accentuate it. A pear body type, also known as triangle body type, has a fuller hip and tights, smaller bust and a narrow waistline. • Go for full bikini bottom and avoid high waist bottoms. An apple body shape has the fullness around the middle with a less defined waist. • Look for a bandeau monokini which will cover up your midsection. • Go for tummy shapers or high cut bikini bottoms. The key is to highlight your lean legs. A rectangle body shape has a small or average bust. This body type does not have a lot of curves and the hips tend to have a width, similar to the shoulders. The key to this body type is to create curves. • Wear one piece with cutouts which creates the illusion of curves. • A cut leg opening will create curves on your legs and will emphasize your hips. 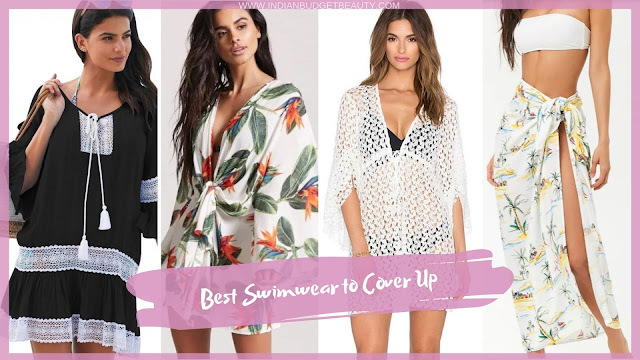 If you are self-conscious or want to cover up your body after a nice swimming session, you can always throw on a kaftan, a cover-up dress or a Sarong. • Look for flowy, lightweight kaftans or those which have crochet detailing. I hope these suggestions will help you choose the right swimwear for your body type and you can find more swimwear options here. Do comment below if you have any questions or suggestions to add into.